If you’ve ever been to Hawaii (or ever seen a Hawaii-themed film), you’ve probably seen women wearing the traditonal muumuu (pronounced moo-oo moo-oo). Young women love the more modern, tailored muumuu, while our kupuna (elders) tend to prefer the more loosely-fitted kind. But, women in Hawaii love to wear these typically-floral printed dresses that have been around for more than a hundred years. A bit of history: The missionaries designed a loose, comfortable garment and taught the women to cover their bodies in the tradition of other lands. This came to be known as the muumuu and, as it became popular, floral cloth featuring popular Hawaiian designs such as ginger blossoms, hibiscus, orchids, bird of paradise, plumeria, and other brightly colored fabric became the choice for many muumuus. 1. T and L Muumuu Factory: This Hawaiian clothing manufacturer on Kapiolani Boulevard in Honolulu was established in 1987, and they specialize in making traditional and modern style muumuus. Customers select a fabric and style and the muumuus are made to order. Long muumuus, short muumuus, blouses, skirts, and men’s and children’s aloha wear are all available. 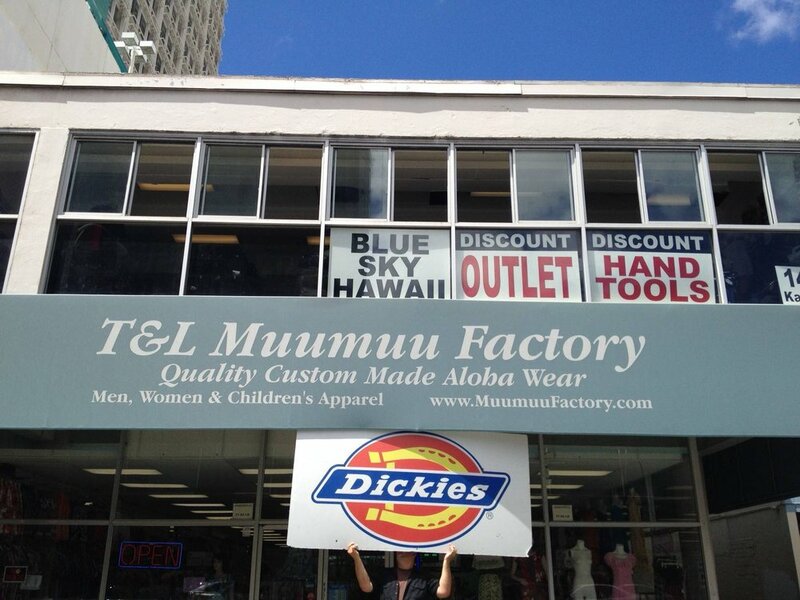 At the T and L Muumuu Factory in Honolulu, you can custom-order your muumuu. 3. Macy’s: Believe it or not, Macy’s stores in Hawaii carry quite a nice selection of muumuus and Alohawear for women. 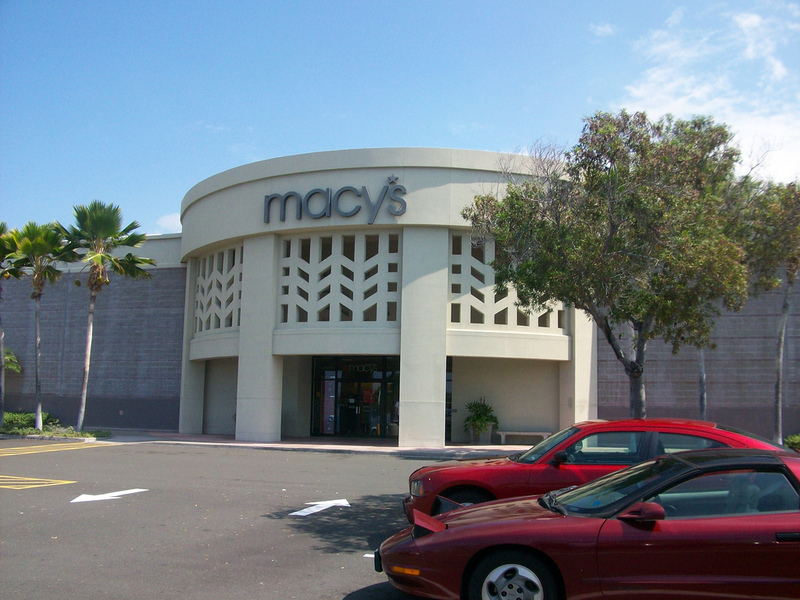 There are Macy’s stores all over Hawaii — on Oahu, Big Island, Maui, and Kauai. Typically, you’ll find all the muumuus in one place in the Women’s Department, but they may also be scattered throughout the store. 4. Hilo Hatties: Last year, Hilo Hatties closed its flagship store in Honolulu, but they’ve kept three locations open: at Ala Moana Center in Honolulu, at the Outlets of Maui, and in Lihue. You’ll find all sorts of modern AND traditional muumuu at Hilo Hatties, including the company’s famous red and white hibiscus print. If you book an Oahu Super Saver Tour through Hawaii Aloha Travel, your package includes a day of sightseeing on the Waikiki Trolley, which makes frequent stops at Ala Moana Center — the perfect opportunity to shop at Hilo Hatties! Many Macy's stores around Hawaii, like this one in Kailua-Kona, have a nice selection of traditional and modern muumuus. 5. Rainbow Hawaii, Inc.: Rainbow Hawaii Inc. is located in the heart of Chinatown (Honolulu, Hawaii). The company specializes in hula supply and aloha attire ranging from hair clips, implements, hula skirts, and muumuus. Browsing through their products, you’ll find a more modern muumuu than traditional muumuu, but the prints are fantastic. A must-see when in Honolulu! I, personally, never thought of myself as a “muumuu type of gal,” but I admit: I love them and even have some hanging in my closet for a special occasion! So, summon your inner-local, and buy yourself a muumuu while you’re here!